The 2016 Christmas is over, and I am very pleased with you all. I hope you liked the gifts I brought to you. Now, after reaching my residence at the North Pole, I thought of writing a letter to you. All over the world, when wars, violence, drought, floods, earthquakes, typhoons, and other natural calamities strike, it is you children who are affected the most, and affected badly. However, there is still hope in the world, and that hope lies with you. 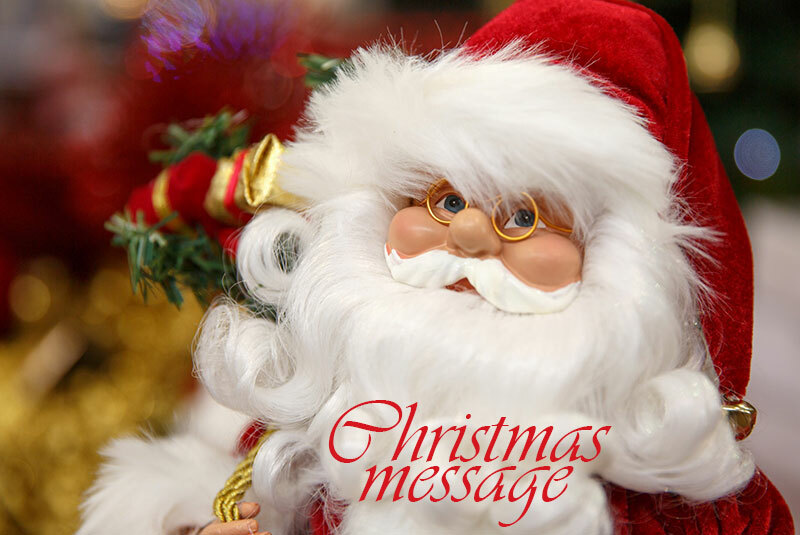 The promise of a bright, luminous future in within you, and I, your Santa, would like to help you realize that promise. In order for you to carve out a beautiful future for yourself and the wider humanity, you need to be well-rounded people. This means that all aspects of your personality should be developed fully in positive ways. First, there is your physical self. Your body, and all its systems, need to be taken care of. This is especially important nowadays since youngsters all over the world are in danger of getting addicted to gadgets such as the iPad and smart phone. Technology addiction causes youngsters to move around less. As Albert Einstein said, there will be a generation of idiots when technology surpasses human interaction. You do not want to grow up as idiots, do you? Laziness and a relaxed lifestyle contributes to obesity, and a whole lot of diseases that result from moving around too little. How can you keep yourself physically fit? You can do it with a little bit of self-discipline and self-control. Avoid snacking in between meals. Walk or cycle whenever you get the chance. Limit your intake of fried food, fatty food, sweets and fast food. Use the stairs instead of the lift. Do yoga if that is what interests you. Join classical dance if you are interested. Join some martial art class. You can find a hundred different ways of keeping fit. The key is to choose something that interests you. Second is your psychological well-being. A psychologically well-rounded person will have high self –esteem, self-worth, confidence, courage, and the ability to bounce back when bad things happen. Such a person, when faced with difficulties, will be able to say ‘this too shall pass’. Such a person is optimistic and positive. He/she will radiate cheerfulness, because of being able to see positive things in even the most difficult situations. Third is your character. William Shakespeare said, ‘character is destiny.’ Truly, your character can mold your destiny. If you are a loving and caring person, there are high chances that your love and care will be returned to you. Honesty is one of the most important aspects of your character. Integrity is another. Honesty and integrity combined together will see you through most of life’s problems. Developing a loving and caring nature is also part of developing your personality. Fourth is your habits. Good habits are not just saying ‘please’ and thank you. It is also taking turns, and giving way. Getting up around 5 o’ clock in the morning, brushing your teeth twice a day, and flossing your teeth after meals are all very good habits that will ensure that you will have good physical health. Other good habits are maintaining a diary/journal, and daily exercise. Fifth is your mental health. For mental health, it is most important to have a circle of loving people around you, be it family or friends. For that reason, maintaining social connections is very important. People who are well connected are less likely to be depressed or be mentally ill. Another important factor is to feel gratitude for the blessings you have had in your life. At every opportunity you have, try to be grateful, and say thanks. To keep optimal mental health, it is most important not to have unrealistic expectations. Finally, is the spiritual dimension. You all have a spark in you, and your mission in life is to let that spark be a flame. As Abraham Maslow said, what you can be, you must be. Go after your passion, and realize your dream. Just like a caterpillar becomes a butterfly, I would like you all to become a beautiful being. I hope that by the time I come next year, you will all be at least one step closer to becoming beautiful butterflies. Previous PostHow Dramatic Play Can Enhance LearningNext PostHow happy are you with your life? Did you have a good life in 2016?